Canadian Army's new Precision Guidance Kit will enable targets to be engaged with fewer rounds. 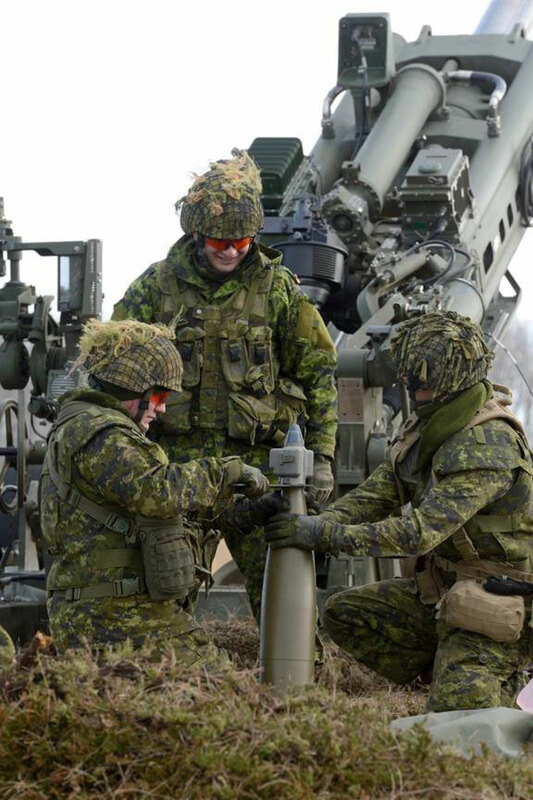 The 1st Regiment of the Royal Canadian Horse Artillery aims to reduce collateral damage and ammunition requirements with with the integration of a new piece of equipment, the Precision Guidance Kit, at Canadian Forces Base Shilo, Manitoba. The integration of the Precision Guidance Kit, which can be used in place of the existing fuse on a conventional shell, transforms artillery rounds into Global Positioning System-guided munitions, allowing trajectory adjustments to be made in-flight, thereby enabling targets to be hit with greater precision. The Precision Guidance Kit will bring greater accuracy to a normally unguided projectile, and in turn reduce ammunition requirements and the risk of collateral damage. ·The Precision Guidance Kit is a fuse that affixes to the tip of a conventional high explosive artillery projectile in the same manner as any in-service artillery fuse and controls detonation of the round. ·The Kit uses conventional rounds and the in-service M777C1 howitzer with its advanced digital Fire Control System. ·The initiative was started in Fiscal Year 2010-2011 and is expected to close-out in 2018. The approximate cost is forecast at $28 million. This covers the amount to integrate the Precision Guidance Kit technology to work with the Canadian M777C1 and also covers the cost of purchasing M795 projectiles and Precision Guidance Kit fuses. ·The Precision Guidance Kit is manufactured by Orbital ATK in the United States. There are no Canadian companies that currently manufacture this capability.